This is from the third class so we have gone through all of our color theory and techniques .... now to play! 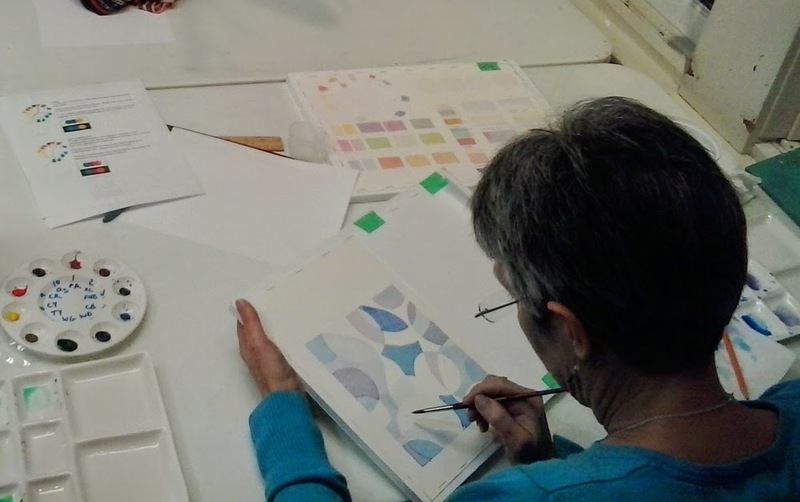 The first painting we start with is an abstract exercise to apply what we have went over the first two classes. It is a great exercise as it enables students to really practice everything taught in the first two classes without the pressure of creating a realistic painting. That being said, the paintings always turn out looking awesome and unique. 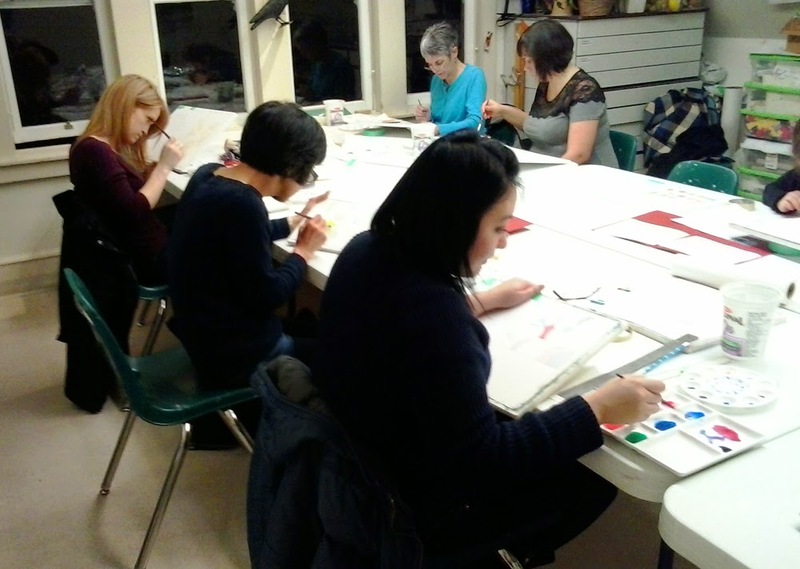 My next Watercolor Painting for the Absolute Beginner starts March 23, 2015 and is starting to fill up already! Please visit http://register.asapconnected.com/EventDetail.aspx?pk=343497 to register or call (604) 931-2008 for more information.